Shortlisted for the Royal Society Winton Prize 2013, the Society of Authors Biology Book Award 2013, and the Best British Book category of the British Book Design and Production Awards 2013. From Axolotl to Zebrafish, discover a host of barely imagined beings: real creatures that are often more astonishing than anything dreamt in the pages of a medieval bestiary. Ranging from the depths of the ocean to the most arid corners of the earth, Caspar Henderson captures the beauty and bizarreness of the many living forms we thought we knew and some we could never have contemplated, inviting us to better imagine the precarious world we inhabit. 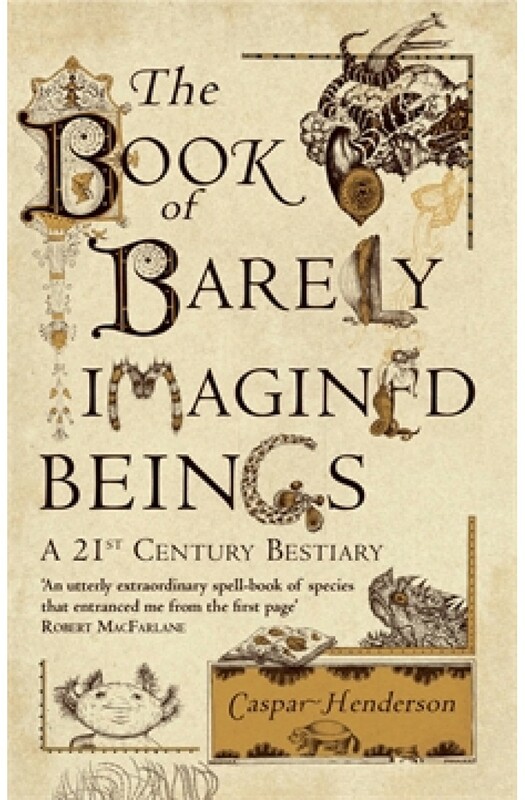 A witty, vivid blend of pioneering natural history and spiritual primer, infectiously celebratory about life's sheer ingenuity and variety, The Book of Barely Imagined Beings is a mind-expanding, wonder-inducing read.